Take a break from Sydney with a short trip to Jenolan Caves in Jenolan Caves, about 2 hours away. 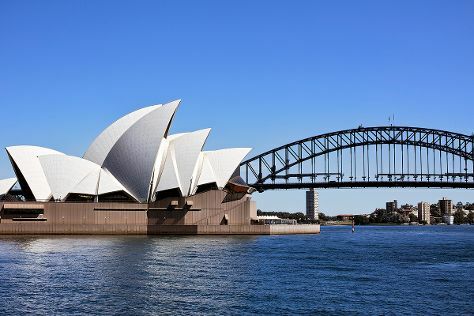 There's much more to do: catch a live performance at Sydney Opera House, admire the natural beauty at The Royal Botanic Garden, kick back and relax at Bondi Beach, and tour the pleasant surroundings at Coogee Beach. For more things to do, ratings, photos, and tourist information, read Sydney online trip itinerary builder . London, UK to Sydney is an approximately 24-hour flight. You can also do a combination of flight and bus; or do a combination of flight and train. The time zone difference when traveling from London to Sydney is 10 hours. In December, Sydney is much warmer than London - with highs of 32°C and lows of 21°C. Finish up your sightseeing early on the 14th (Fri) so you can travel to Gold Coast. You'll discover tucked-away gems like Cape Byron Walking Track and Currumbin Wildlife Sanctuary. Next up on the itinerary: kick back and relax at Burleigh Heads Beach, get your game on at Xscape Reality, buy something for everyone on your list at Pacific Fair Shopping Centre, and stroll through Coolangatta Beach. To find other places to visit, reviews, traveler tips, and other tourist information, you can read our Gold Coast trip itinerary website . Getting from Sydney to Gold Coast by flight takes about 3.5 hours. Other options: do a combination of flight and train; or drive. Expect a daytime high around 32°C in December, and nighttime lows around 22°C. Wrap up your sightseeing on the 18th (Tue) to allow time to travel to Melbourne. Melbourne is known for museums, parks, shopping, zoos & aquariums, and nightlife. Your plan includes some of its best attractions: take in nature's colorful creations at Royal Botanic Gardens, see the interesting displays at Melbourne Museum, enjoy breathtaking views from Eureka Skydeck 88, and learn about all things military at Shrine of Remembrance. To find photos, reviews, ratings, and tourist information, read Melbourne day trip planning site . Traveling by flight from Gold Coast to Melbourne takes 4.5 hours. Alternatively, you can do a combination of train and flight; or drive. Plan for little chillier nights when traveling from Gold Coast in December since evenings lows in Melbourne dip to 14°C. Cap off your sightseeing on the 21st (Fri) early enough to travel to Hamilton Island. Discover out-of-the-way places like Hamilton Island Marina and Scuba & Snorkeling. There's lots more to do: enjoy the sand and surf at Catseye Beach, tee off at Hamilton Island Golf Club, stroll through Wild life Hamilton Island, and explore and take pictures at Go-Kart Racing Track. For where to stay, reviews, other places to visit, and other tourist information, read Hamilton Island sightseeing planner. Getting from Melbourne to Hamilton Island by flight takes about 4.5 hours. Other options: do a combination of bus, train, and ferry. Traveling from Melbourne in December, expect nights in Hamilton Island to be warmer, around 28°C, while days are a bit warmer, around 34°C. 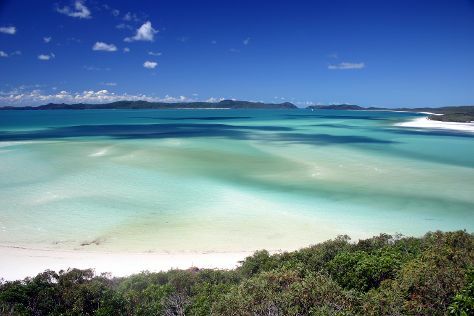 Finish your sightseeing early on the 25th (Tue) to allow enough time to travel to Whitsunday Island. Start off your visit on the 26th (Wed): explore the activities along Hill Inlet and then enjoy the sand and surf at Whitehaven Beach. To find other places to visit, reviews, maps, and other tourist information, refer to the Whitsunday Island trip planner . Use the Route module to find suitable travel options from Hamilton Island to Whitsunday Island. Traveling from Hamilton Island in December, Whitsunday Island is slightly colder at night with lows of 24°C. 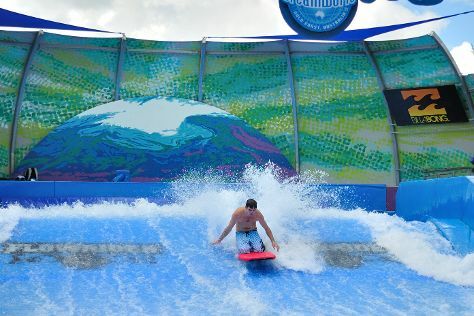 Wrap up your sightseeing on the 26th (Wed) to allow time to travel to Cairns. Step off the beaten path and head to Wildlife Habitat Port Douglas and Helicopter Tours. Explore the numerous day-trip ideas around Cairns: Palm Cove Beach (in Palm Cove), Australian Butterfly Sanctuary (in Kuranda) and Rex Lookout (in Wangetti). Spend the 27th (Thu) among aquatic life with a scuba or snorkeling tour. There's much more to do: admire the natural beauty at Botanical Gardens, kick back and relax at Trinity Beach, look for all kinds of wild species at Mossman Gorge, and stroll through Anzac Park. To find other places to visit, where to stay, more things to do, and other tourist information, go to the Cairns road trip app . Traveling by flight from Whitsunday Island to Cairns takes 2 hours. Alternatively, you can do a combination of bus and flight; or take a train. Expect a daytime high around 36°C in December, and nighttime lows around 26°C. On the 1st (Tue), you'll travel back home.